Thread Spinner Holds 60 Spools of Thread. These thread spinners use a lazy susan base and turn in full circle. 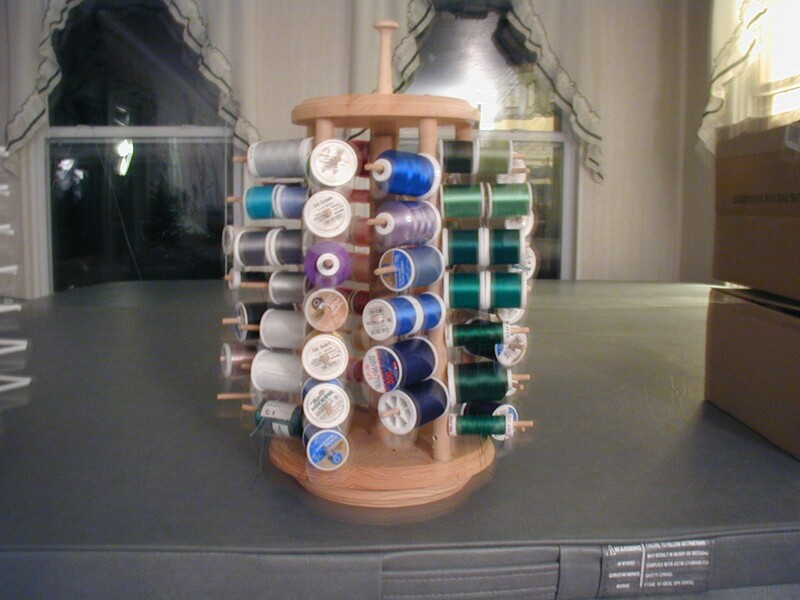 Each arm can hold up to 15 spools of thread. You can buy them painted white or still in the natural wood color. They weigh in at 3 Lbs and shipping is $20.00.